There are many reasons for customers to come back to stores such as product quality, excellent service, and so on. One of the common reasons that make customers return to stores is discount coupons. Most customers will be eager to earn these coupons to spend during the checkout process or for next transactions. 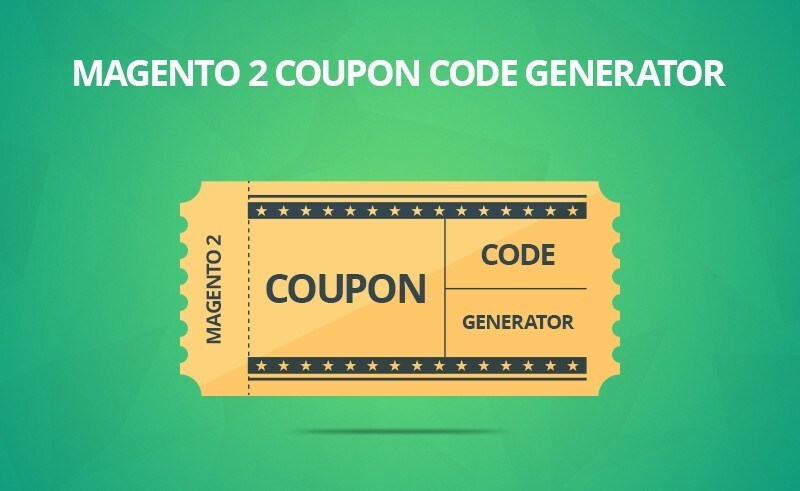 Thus, as a fantastic tool to boost conversion rate, Magento 2 Coupon Extension supports store owners to provide coupon codes for their shoppers. We cannot deny that providing coupons codes is an excellent idea to engage customers and increase their loyalty. 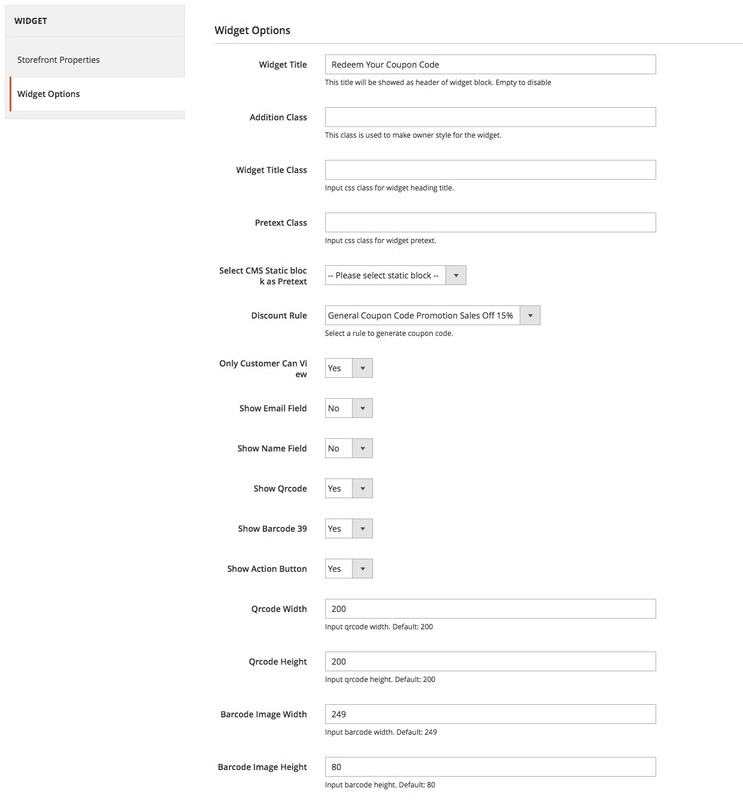 Hence, Magento 2 Coupon Extension helps you generate coupon codes via email templates, variables, and rules. 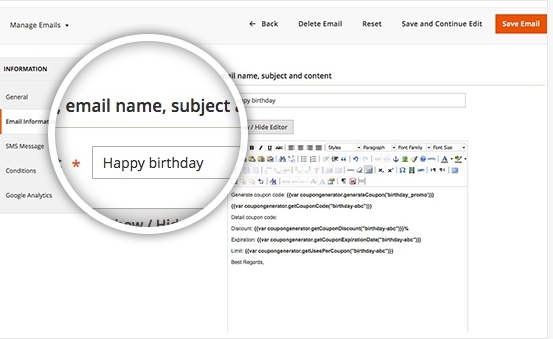 Then, you can send them to a specific customer group in a few seconds. 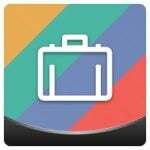 Besides, the extension supports sellers in tracking sale campaigns and managing coupons. In this blog, to help you get more details of the extension, we will discuss some outstanding features as well as usage and configuration guide. QRcode contains a lot of information about products including name, address, tracking number, price, and quantity. 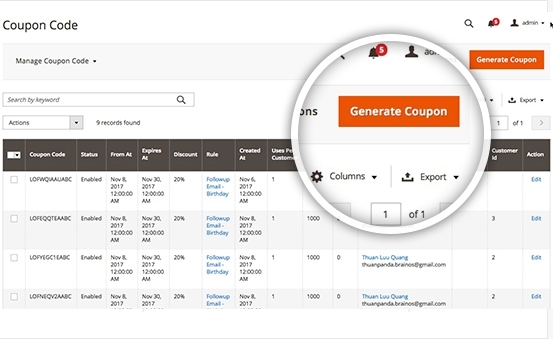 With Magento 2 Coupon Extension, you can generate QRcode programmatically or create with the multi-functional dashboard. For Barcode, the module supports Barcode Type 39 that can contain coupon codes. Magento 2 Coupon Extension enables users to generate a limited number of coupons per an email address. 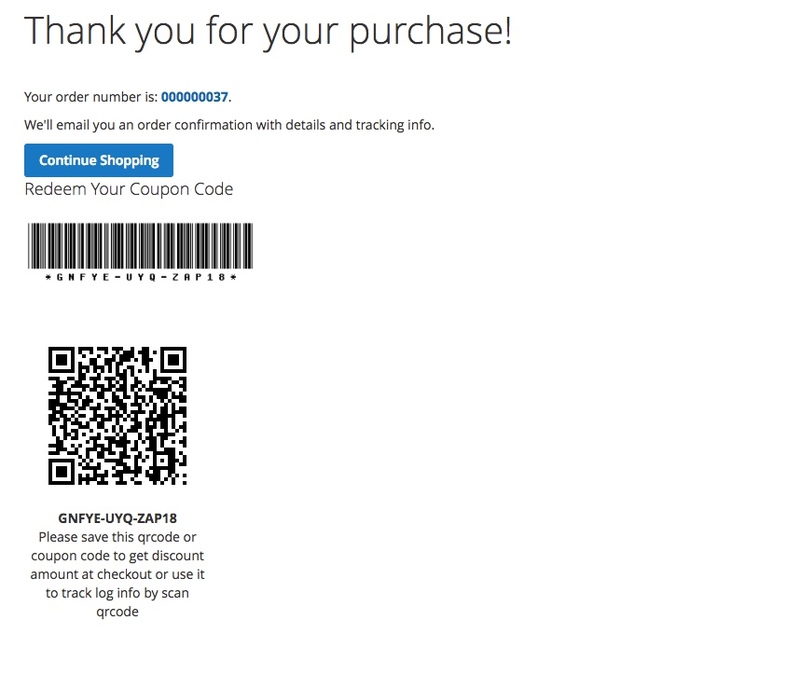 By this way, you can create urgency and increase shareability for your coupon codes. The module is associated with email campaigns. When using the module, you can verify emails before applying coupon codes on the frontend. Therefore, you can make sure for exact codes and handle them easily. Admins can limit the number of times coupons can be used by each customer. 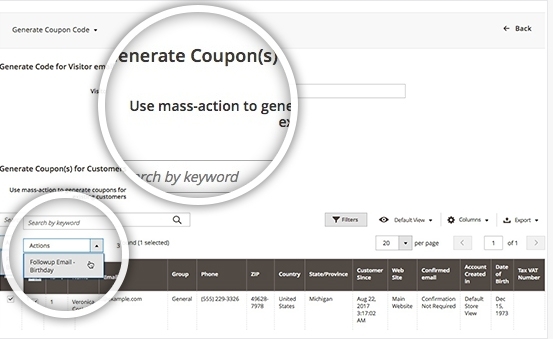 As an admin, you can determine how many times coupon codes can be used by the same registered customer who belongs to any selected customer group. 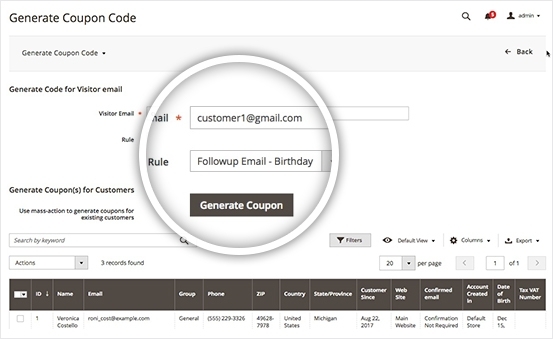 You can create a set of rules which are used to create coupon codes with predefined attributes. 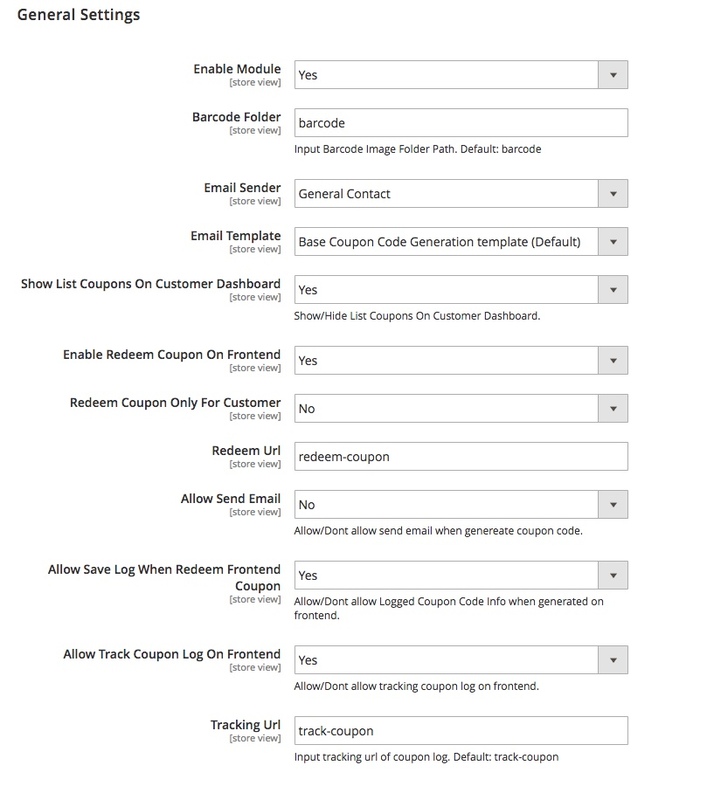 Magento 2 Coupon Extension allows you to create a coupon fast and conveniently. You can take full control of coupon codes with ease. After you generate QRcode, Barcode type 39 on the successful order page, scan them or input the coupon code to track order information. Then, you can scan QRcode to track order information. You will get sales order and coupon code detail. Step 1: Go to Admin -> Content -> Widget. Next, add a new widget instance type “Lof Redeem Coupon Form”. 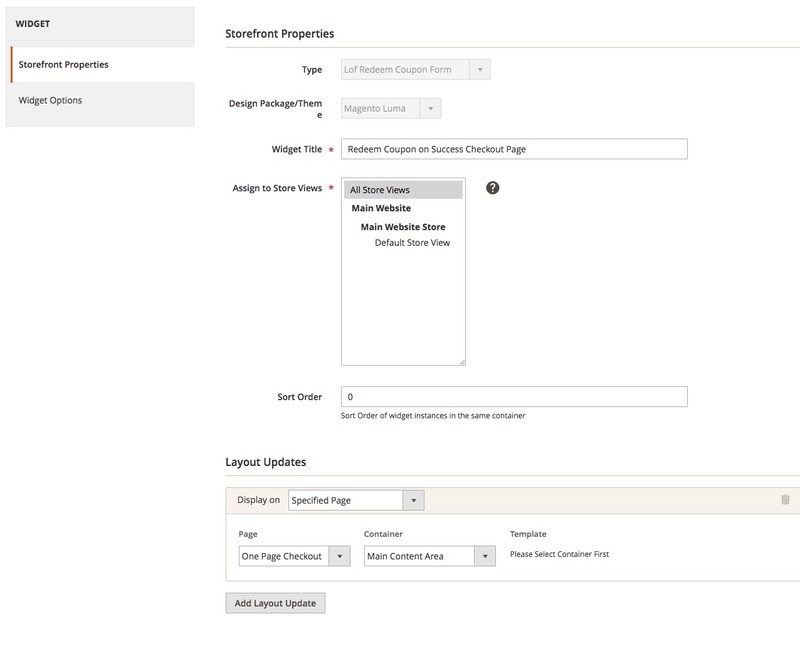 Step 2: Then configure the page where the widget will be displayed on the frontend. Here, we choose “One page checkout successful page”. Step 3: Configure the widget settings. Finally, you can use coupon codes to track order at any time you want. Magento 2 Coupon Extension with fantastic features, user-friendly usage and configuration will be your best solution to increase conversion rate and customer loyalty. Moreover, when purchasing this module, you will get free installation, professional support from our team and a lot of other benefits.